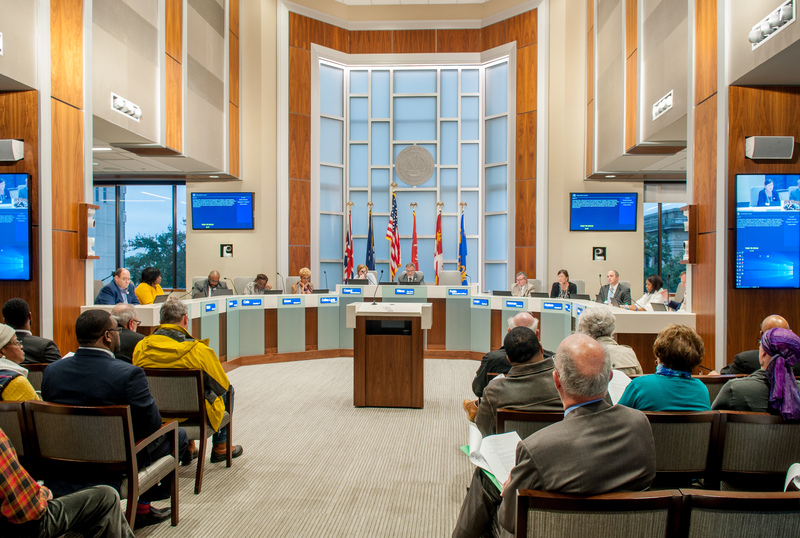 Audubon Terrace and Morning Glen residents are considering their legal options following the Metro Council approving the rezoning of lots along Siegen Lane and Interstate 10, meanwhile, the property’s owners are moving forward, planning to conduct a traffic study. Homeowner association president Bill Gibson, speaking for Audubon Terrace and Morning Glen residents, says they plan to consult a lawyer to explore paths to block the non-residential development of the lots, located at the corner of the heavily trafficked intersection. While a few residents volunteered to voice their concerns at Wednesday’s Metro Council meeting, more than 60 people submitted their names as being against the rezoning, which will allow the Metrailer family—who have owned the property for decades—to develop it for office use. Broker George Kurz, representing the Metrailer family, says despite having the lots rezoned, they’re not applying for a building permit or looking to start development anytime soon, adding the family has owned the land since the 1950s. They’re going to wait until a separate lawsuit between residents and another local developer—Kevin Nguyen—is settled. Also, the family wants to conduct a traffic study of the area with the city and state to address the residents’ concerns about increased traffic from the development. After the traffic study is completed, Kurz says they plan to resubmit a rezoning request for an adjacent strip of land that was shot down by the Planning Commission last month and have final development plans drafted. Watson was unable to be reached by this morning’s deadline for a comment.